License plates are some of the easiest, quickest means of identifying a vehicle so it’s no wonder that an Intelligent License Plate Reader is such a valuable security system. 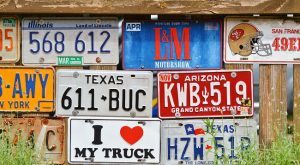 In terms of identifying a vehicle, there’s one reliable and quick option: license plates. While something like a vehicle’s registration may also be critical to truly identifying a vehicle and whose responsibility it is, license plates offer us fast, visible means of identifying. Because of this, we’re able to take advantage of modern optical systems to track and quickly authenticate license plates with a better degree of accuracy than ever. For best results, taking advantage of an Intelligent License Plate Reader system is the best way to scan and compile license plate data. With our Intelligent License Plate Reader (ILPR), superior images make authentication easier than ever. Our ILPR system consists of a specialized digital IP that can deploy either infrared or white light illumination, offering the best possible conditions to render high-quality images. This is ideal where weather conditions are uncertain, as the ILPR can continue to function and authenticate license plates even in rain, snow, or high winds. The Intelligent License Plate Reader is suitable for a number of industries and sectors depending on what your needs may be. An energy facility, for example, may prioritize vehicle inspection security and the ILPR is a great addition to any security team. It also works well for securing parking facilities, borders, and checkpoints that see large amounts of traffic. Taking advantage of a system like this doesn’t just make the work easier for security personnel, it makes security more reliable and safer for everyone involved. While there are a whole host of license plate readers out there, none quite stack up to the Intelligent License Plate Reader. This is because its Optical Character Recognition software can decode images into usable data—making license plates easier to track, store, and manage. Additionally, it can work in any country or specific region, opening the doors up for even more versatility. Lastly, the system can be paired alongside other intelligent security systems—including many of Gatekeeper’s products. This entry was posted on Friday, July 27th, 2018 at 10:59 am. Both comments and pings are currently closed.